Gear Up OakRak Floor To Ceiling 2 Bike Rack. Bike racks don't have to be an eyesore. This storage rack is made with American Red Oak with a hand rubbed oil stain and finish that looks good enough to keep in your living room. It stores up to two bikes, stacking them vertically to keep them out of the way. Your browser isn't supported for displaying eBay items. 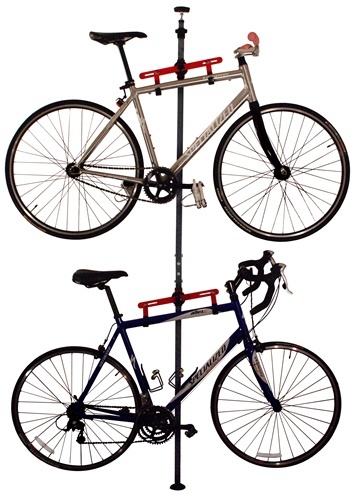 Go to eBay to search for Gear Up OakRak Floor To Ceiling 2 Bike Rack Accessories Stands.